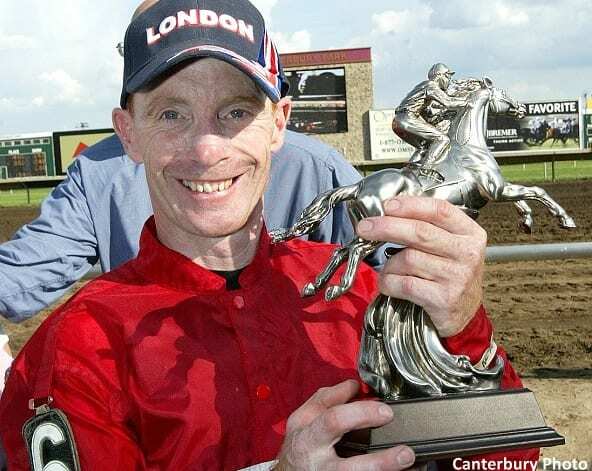 English jockey Paul Nolan has been in the United States since the 1980s, and became a popular local rider at Minnesota's Canterbury Park where he earned the nickname “The Sod Surgeon” for his skill on the turf course. In April of 2017, Nolan was paralyzed in a riding accident at Will Rogers Downs, after which he was treated at Denver's Craig Institute for several months, and according to canterburylive.com he and his wife were just this week able to move back to Minnesota, closer to their Minneapolis home. The incident that cost Nolan his career happened on the gallop out after a race, when his mount fell and landed on top of him. Nolan remembers parts of the horrific day, including lying in the dirt unable to move and pieces of the ride in the ambulance. Though nothing in his spinal cord was severed or broken, severe swelling has still left him with the inability to move his arms or legs. This entry was posted in NL List, People and tagged canterbury, canterbury park, craig institute, jockey injury, minnesota, paralyzed, paralyzed jockey, paul nolan, spinal cord, will rogers downs by Paulick Report Staff. Bookmark the permalink.